Last Christmas, Mark treated his sister, her boyfriend and myself to a cookery lesson at Jamie Oliver’s Recipease. We ended up doing the Vietnamese street food course as we all love Vietnamese food and everything that we cooked was gluten free. We enjoyed it so much that we decided to treat his mum to another course for her birthday. 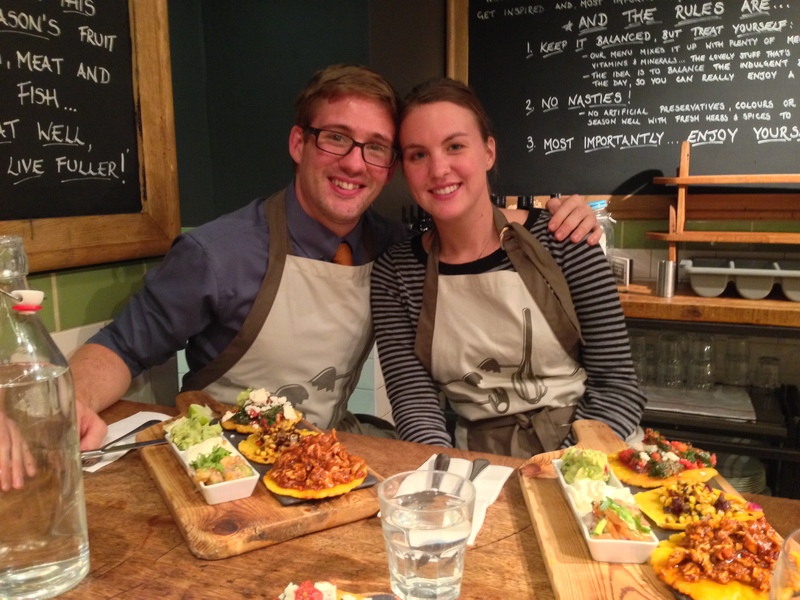 The only other completely gluten free course that we could choose was Mexican street food. We did a special where you could bring a friend and you received a discount. This time we worked in partners, rather than cooked everything ourselves. We still really enjoyed the class, but I recommend going to a course during the day rather than the evening as you get more personal attention by the chef as the class is half the size. They have locations in Notting Hill, Clapham Junction and in Brighton. Cannot wait to go back for another course as we have been assured by the staff that any class than have gluten free modifications as you add all the ingredients yourself and can customise your experience for your palette. 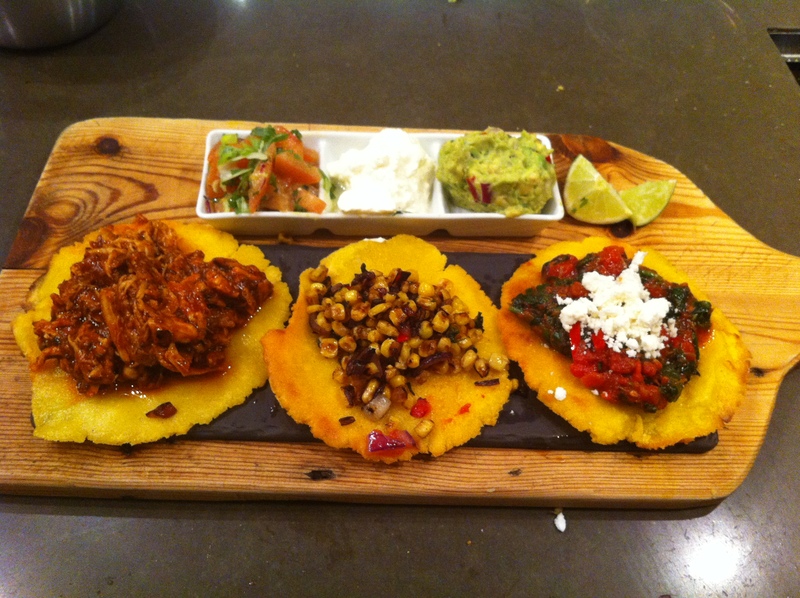 Here are a few pictures from the Mexican street food class.